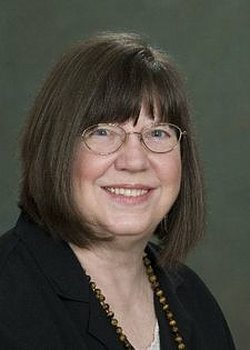 For today’s interview I’m talking to former AMW member, Kaye George who is a national-bestselling and multiple-award-winning author. Welcome to the interview couch, Kaye! Tell us, how did you find Austin Mystery Writers? I was at an Austin Sisters in Crime Holiday party at someone’s home, and I mentioned wanting a writing group. Someone led me to Karen MacInerney, who was still in the AMW group then. She invited me to a meeting, and I came back time after time. I attended through all kinds of membership changes until we moved out of Austin. How did the group help you? We were all mystery writers, but we all wrote very different kinds of mysteries. I liked getting different feedback from the viewpoints of all the other writers. I liked it when we had guys in the group, too, because that’s another perspective. Having at least several members was always good, because you don’t want to take all the feedback you get. If two or more readers complain about the same passage or plot point, though, you know you have to change it. Probably in junior high school, when I started to think it might be possible. We had an assignment to write a page of description without telling the reader what we were describing. I wrote about Cocker Spaniel, not telling the reader it was a dog, but saying he ran up the hill on four paws and enjoyed the breeze blowing through his long silky ears–or something like that. The teacher loved it! In fact, she read it to the class as an example of how the assignment should be done. My face was bright red! But I loved that she loved it. Throughout high school and college I submitted short stories to impossible markets, Atlantic Monthly (as it was then called) and New Yorker magazines. I collected piles of rejection slips. What was the first thing of yours that was published? It was a short story in Web Mystery Magazine. I’ve lost track of Rosalie Stafford, who accepted my piece, but still keep up with Earl Staggs, who edited for them. The story was called “Flash Mob” and was published in April 2006. I even got paid for it! I remember being so anxious to get it published before flash mobs fell out of fashion. They’re still around, so I wasted that anxiety. I thought I was on my way and it wouldn’t be long before I got the novel published that I’d been working on. Ha! 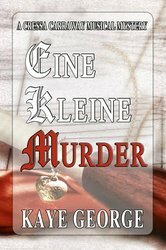 My first novel, CHOKE, was published in 2011, but THAT novel was published in April 2013 as EINE KLEINE MURDER. April seems to be a good month for me. Tell us about some of your hobbies. I play the violin and love to compose when I have the time. In the past, I’ve had fun arranging things for the string quartet I had in Dallas. Reading, of course, and walking. Hiking in the mountains, but not long, overnight treks, just half-day or shorter. Tell us an unusual fact about you. I know that you have more than one series. Briefly tell us what those are and what’s new. As Kaye George, I’m doing 3 series (I know, I’m nuts). As Janet Cantrell, just one series. 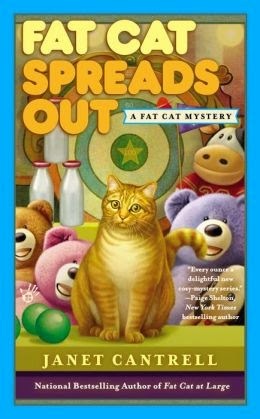 Fat Cat: FAT CAT AT LARGE, FAT CAT SPREADS OUT, FAT CAT TAKES THE CAKE (coming out in April) April is a good month for me, but it’s getting a little crowded for 2016. My first love, though, is short stories. 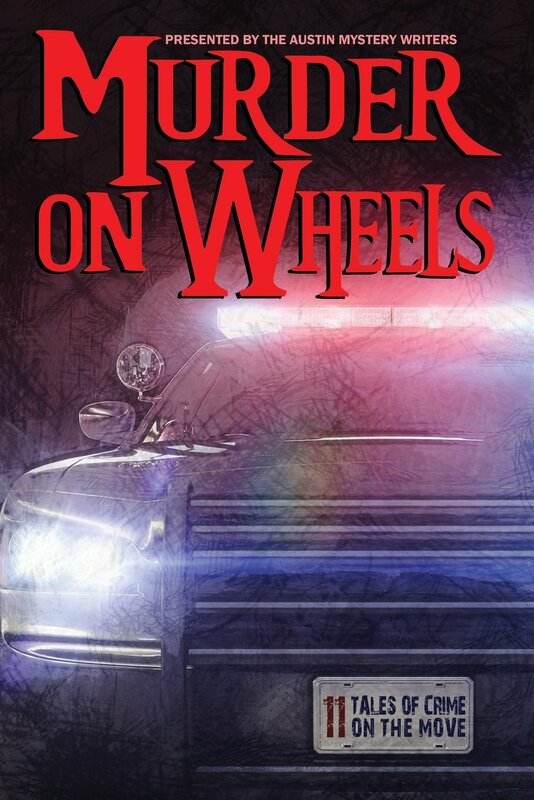 With the other members of this group, we had a lot of fun putting out MURDER ON WHEELS with Wildside Press this year. 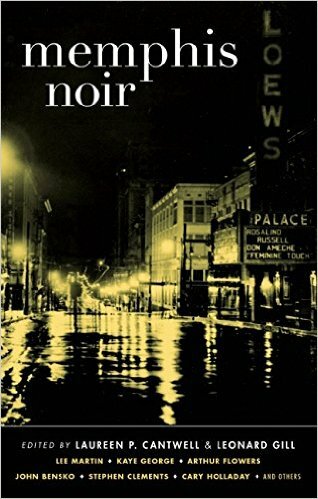 My next short story will be “Heartbreak in Graceland” in MEMPHIS NOIR, coming out by Akashic in November. I have some more in the works, but not definite dates. I try to keep my web page updated, so everything should be there soon after I know it. Do you have any insights into the publishing industry? Um, no. I’ve always said that if anyone tells you what publishing will look like in ten years, or even next year, they’re full of baloney. No one knows. But that’s what makes this field so interesting. You gotta be on your toes and keep up! 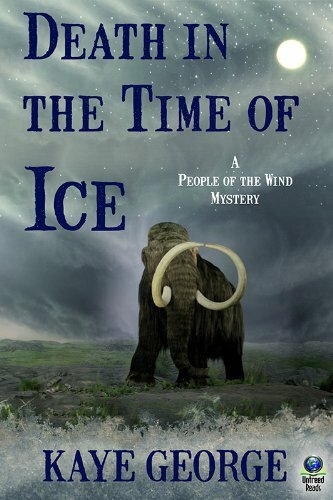 A side note: Hurry up and get the hardcover for Death in the Time of Ice at Untreed Reads. It’s available only through Septemeber! Kaye, about your Cocker Spaniel story, you say, “My face was bright red! But I loved that she loved it.” With all the great reviews your books are getting, your face must be redder than ever. My favorite is still CHOKE, of course. I’m still laughing about the letter opener. If laughter is good medicine, CHOKE ought to cure just about anything. Thanks for interviewing Kaye, Valerie. She’s a great teacher. It was fun and one way to keep track of all she’s doing! Great interview, Valerie. And Kaye, between you and that Janet person, you all are doing four series. You must be taking a secret ingredient–magic brownies or something. You deserve all the good things that are coming your way. You’ve worked hard, never quit, and kept on keeping on. Hey, if you HAVE any magic brownies, I need you to send them to me. Thanks, Gale! I’d like SOMETHING magical. Or more hours in the day. Kaye, I’ve lost track of Rosalie Stafford too and was sorry to see Web Mystery Magazine go away. I’m very glad, tho, that you put more emphasis on writing mysteries than on playing the violin. Keep up the good work, my friend. I had a story ready for the next issue when it closed down! Dave Zeltzerman put that story in his Hard Luck Stories ezine, though. There’s at least SOME money in writing, none in playing the violin. Thanks, Earl!